We all have extra things to either throw out, donate to Goodwill, or give away to a friend. An extra tennis racket, that scuba gear you thought you’d use. Some of it is junk, but some of it might be worth selling. Right now, you can place these items on Craigslist to make a few bucks for yourself. KarmaGoat would rather you sell things on its site, and have the money go to a charitable cause. 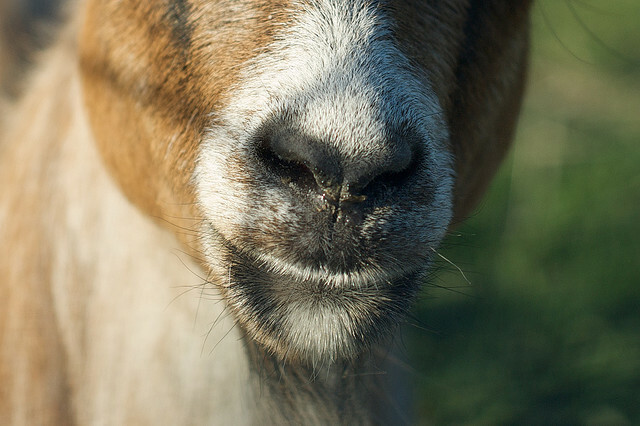 KarmaGoat is half Craigslist, half Ebay, and all for Social Good, the founders tell me. The company was founded by CEO, Jonathan Lehmann. KarmaGoat has already raised thousands of dollars for over 19 non-profits, we’re told. The first thing that stuck out to me was its name, so I dug around the site to find the explanation. Apparently, one of the missions of the site and its causes is to give a goat to villages who need them in third world countries. The site is easy to navigate, and the only option to sign up is with your Facebook account. This is a trend we’re watching carefully. We used to be shown many options including Twitter and Google accounts, but we’re seeing more and more of Facebook only web apps. If you’re a seller, you just add your item and set the price, and then pick the charity you’d like to benefit. There are over 900 organizations you can pick from, and that number is growing since KarmaGoat lets its community add causes as well. 15 percent of the profits go back to KarmaGoat as a transaction fee, and the rest goes to your chosen charity. The shopping you’ll be doing is focused on people close to you, which is more of a Craigslist model. There are no shipping models. Once you see an item you like, you simply click “Meet and Buy”. You are then prompted for your credit card information, but aren’t charged yet, and are given a special private password. Once you meet the seller and the item is to your liking, you give them the password. That sounds like a lot of extra steps, but the KarmaGoat founders want to make sure the transaction goes through to benefit the original charity that the seller picked, and not have it be done with cash like Craigslist is, which is impossible to track. Any money to charity is a great thing. It will be interesting to see if people will use a site like KarmaGoat to buy items close to them. I’d be more interested in using the site if I could have items shipped to me, without having to work it out with the seller directly. No shipping options built in really limits the buying experience for me.